Bernard Enjolras holds a diploma from the Institute of Political Studies in Paris (Sciences-Po), a Ph.D. in Economics from the University of Paris I Sorbonne (France) and a Ph.D. in Sociology from the University of Québec in Montreal (Canada). He is a Research Director and Research Professor at the Institute for Social Research in Oslo and the Director of the Center for Research on Civil Society and the Voluntary Sector. He is also Deputy Director of the Institute for Social research the Editor-in Chief of Voluntas International Journal of Voluntary and Nonprofit Organizations. 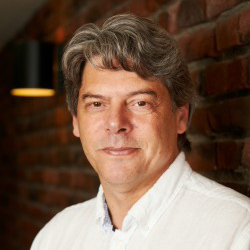 Bernard Enjolras received the 2010 Academy of Management Public and Nonprofit (PNP) Division Best Article Award for his ‘A Governance- Structure Approach to Voluntary Organizations’ published in 2009 in Nonprofit and Voluntary Sector Quarterly. Bernard is responsible for the overall scientific and administrative management of the Third Sector Impact project and he is lead researcher for conceptual integration of findings and the final report, as well as engaging stakeholders and dissemination. He serves as executive board member together with Lester Salamon (JUH), Annette Zimmer (MU) and Karl Henrik Sivesind (ISF). This project investigates the state of freedom of speech in Norway. ISF will manage the project on assignment by the Free-Speech Foundation. The project will address issues concerning the terms of freedom of speech, freedom of speech in light of multiculturalism, digitalization and shifting media structures, security, control and surveillance and the terms of freedom of speech in the labour market. We will apply both qualitative and quantitative approaches, with a central element being a survey targeted at both the general public and at groups of particular interest to freedom of speech: Ethnic minorities, journalists and cultural workers. The project will be conveyed through multiple platforms, with important arenas being a series of seminars and a new webpage. There will also be published a report and all of the project partners will contribute to an anthology to be published by a Norwegian publishing company in which freedom of speech is investigated through multiple perspectives.